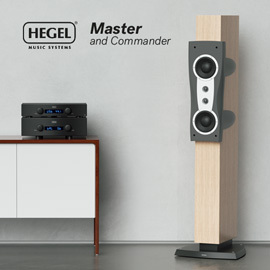 Priced at exactly €10,000 is Hegel Music Systems’ new H590 integrated amplifier. Like all of Hegel’s recent integrateds, the H590 has a built-in DAC, and single-ended and balanced analog inputs, but it’s the amp’s AKM-based DAC module that most merits your attention. It supports up to 24-bit/192kHz PCM, and up to quad-rate DSD (DSD256) -- but it also supports MQA, the controversial music-file format that I hadn’t seen Hegel championing before. (If you’ve read my articles about MQA, you’ll know that I still have many questions about it, and that I’m not in favor of it.) Thankfully, Hegel has implemented MQA the right way. Unlike DACs that run all digital signals through the MQA digital filter, which I see as possibly being a compromise, Hegel says that in the H590 the MQA digital path is separate from the PCM and DSD paths -- PCM and DSD signals are not altered or (possibly) compromised at all. What’s more, Hegel claims that the sound from its DAC module is even better than from their flagship DAC, the standalone HD30 ($4800). Apparently, because the new AKM DAC chip they’re using offers better performance for all signal types played at their native sampling frequencies, the H590 does not resample incoming signals -- as do almost all of Hegel’s other DACs, including the HD30. The H590’s power-amp section is also noteworthy, partly for offering more power than their previous integrateds -- they claim 301Wpc (yes, you read that right) into 8 ohms -- but mostly for its even higher damping factor and, correspondingly, lower output impedance. That usually means better control of woofers and improved stability into lower impedances and difficult loads, which means the H590 should be able to drive almost any speaker out there. 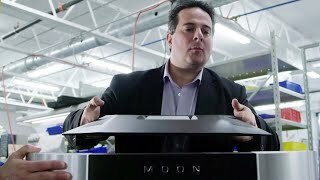 Hegel said they achieved this by using twice as many output devices and a much beefier power supply than in their next-biggest integrated, the H360 ($6000). KEF was using an H590 with their Blade Two loudspeakers: Even in their fairly large room -- which, when I visited, held at least 50 people, absorbing a lot of the sound -- the amp and speakers had no trouble charging the place up. 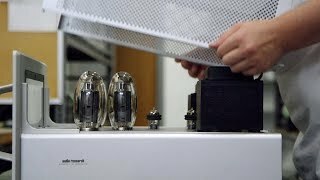 I was also impressed by what Audio Research has done with their Reference 160M mono power amplifier ($30,000/pair), which was shown in a private room at the 2018 Consumer Electronics Show, last January in Las Vegas. (I wasn’t there, but Brent Butterworth and Roger Kanno were.) At High End 2018, a Reference 160M was on silent display in the front of the display room, where everyone could see it as they walked in. With output terminals for speaker loads of 4, 8, and 16 ohms, the Reference 160M is specified to deliver 140W, 20Hz-20kHz, with less than 1% total harmonic distortion. 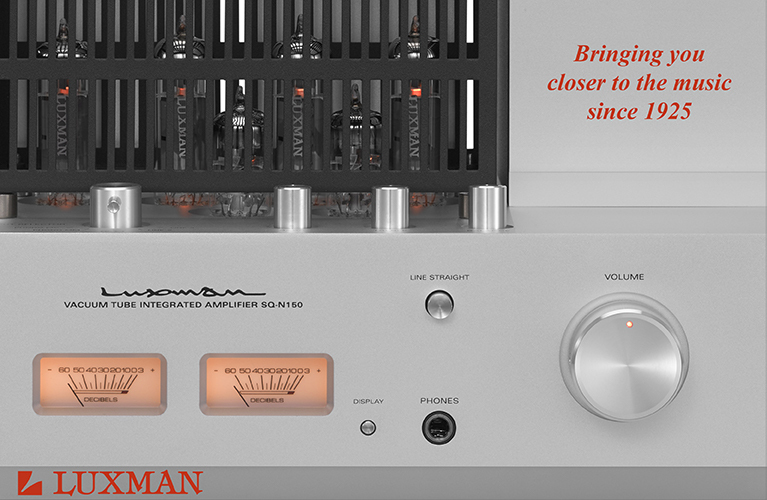 It uses two factory-matched pairs of KT150 output tubes and two 6H30 driver tubes. Biasing of these tubes is automatic, something that makes living with tubed gear just a little bit easier. ARC says that you can expect the KT150s to last 3000 hours, the 6H30s 4000 hours. 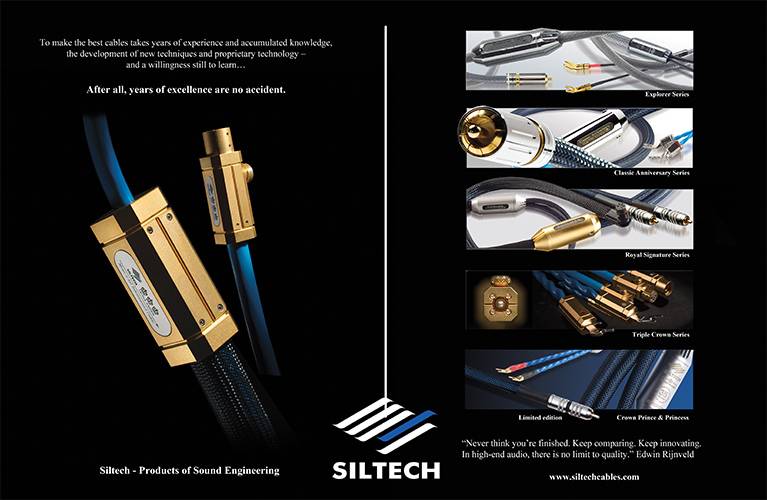 According to them, the circuit design of the 160M is their most sophisticated and refined-sounding ever. Given ARC’s four-decade-long reputation for sterling sound quality, a pair of these demand a listen. One Oh, wow! 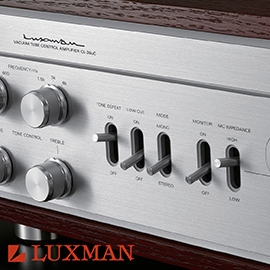 feature of the Reference 160M is the meter on its front panel. 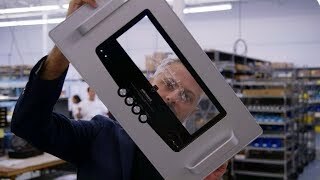 Not content with an old-school meter that obscures what’s behind it, industrial designer Livio Cucuzza has covered the large window in the front panel with two layers of glass. The back layer is etched with and lit with hidden LEDs, leaving a clear view of the glowing tubes behind (the needle is mechanical). The meter’s LEDs can be set to one of three levels of brightness, or turned off to leave just the warm glow of tubes. It looked great either way. In every way, the Dan D’Agostino Master Audio Systems Relentless is the most extreme mono power amplifier I’ve ever seen. Each one measures 22.5”W x 11.5”H x 32.5”D, weighs 485 pounds, and costs $125,000. 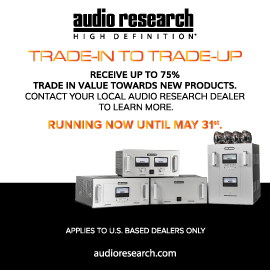 If you want to listen in stereo, that’s $250,000/pair. 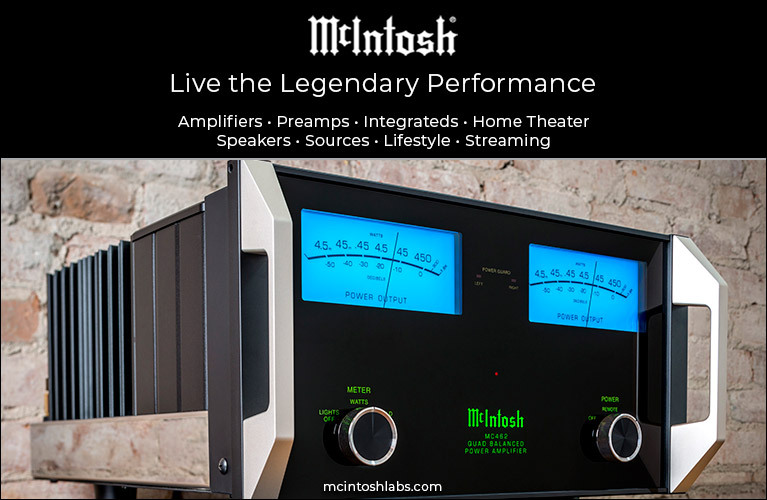 It’s designed by Dan D’Agostino, whom longtime audiophiles will know as the founder of Krell Industries. Case and chassis -- in this case, the same thing -- of solid copper and aluminum have become hallmarks of D’Agostino’s electronics, as have large, clock-like meters, and the Relentless is no exception. It includes far more weight of metal than any other amp that he -- or perhaps anyone -- has made, and a meter dial 8” in diameter. In my Best of High End 2017 picks, I highlighted SGR Audio’s Discovery speakers, a model line that has since been renamed Voyager. I’m grateful to Edgar Kramer, editor-in-chief of our SoundStage! Australia site, for introducing me to this brand from Oz. Without his urging, I probably wouldn’t have noticed SGR at all -- that year, they were tucked away in a tiny booth at the rear of one of the halls on the main floor. This year, SGR was harder to miss. In their own large display room on an upper floor they highlighted the new CX4F Mk.2, a powered floorstanding speaker that’s part of their Convex series, which also includes the stand-mounted CX3B Mk.2. The CX4Fs were being played quite loudly when I visited and sounded fantastic -- and closer examination revealed that this speaker is more interesting than might be expected at first glance. The CX4F Mk.2 ($25,000/pair) is a four-way design with a 1.18” tweeter and a 2” midrange (both have fabric domes), and five paper cones: a 6.5” midbass driver and four 6.5” long-throw woofers. To me, four-way speakers with the right-sized drivers crossed over at just the right frequencies stand the best chance of getting a seamless driver-to-driver blend across the entire audioband, on or off axis. SGR’s specs say that the CXF4 Mk.2 extends down to 28Hz and up to 23kHz -- if accurate, that makes them full-range but for the bottommost few notes of the lowest audible octave. The seven drivers are stacked fairly close together on a slender cabinet 43.1” high; their proximity to each other will surely help their outputs integrate more smoothly. But instead of implementing the crossover with digital signal processing (DSP), as in many of today’s active speakers, SGR keeps it all in the analog domain in the CX4F Mk.2. Powering these drivers are four channels of class-AB amplification that together are specified to provide 650W RMS of power to the entire speaker (power outputs for the individual channels aren’t specified). But here’s where it gets interesting: SGR Audio claims that the CX4F Mk.2 is the “world’s first commercially available loudspeaker to implement current-drive amplifier technology.” Not being familiar with every powered speaker ever made, I can’t be certain that’s true -- but at the very least, it’s rare. A current-driven powered speaker is in stark contrast to other speakers, active or passive, almost all of which are voltage driven. 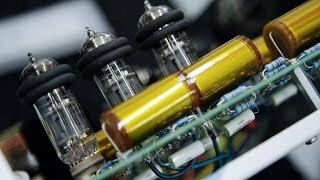 The technical differences are too complicated to get into here, but SGR claims that current-driving the transducers “is a way of delivering music to the loudspeaker driver in its purest form with maximum ease, where voltage-drive is effectively forcing the music out of the driver.” I’ve talked with various speaker designers over the years about current-driven loudspeakers, and they’ve all told me that current drive results in a marked reduction of distortion over typical voltage drive, and that they’d love to build a current-driven design but haven’t, mostly because the market for active speakers remains small among audiophiles. Now SGR Audio has done it -- if they’d be willing to send a pair of these speakers from Australia to Canada, I’d love to hear them in my room. 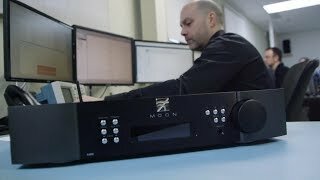 Germany’s Tidal Audio makes loudspeakers with custom-made, state-of-the-art Accuton drivers and cost-no-object parts, then finishes them to utter perfection. If you’ve read Aron Garrecht’s review of the Tidal Piano G2 this month on SoundStage! Ultra, you’ve been left with the impression that no one in the world finishes their speakers as well. It might be true. Of course, so high a level of quality, whether of parts or finish work or both, comes at a high price. The Piano G2, a three-driver, 2.5-way design that stands not quite 46” high, retails in the US for $39,900/pair -- and that’s Tidal’s second-cheapest model. Granted, its tweeter has a diaphragm of pure diamond, but still . 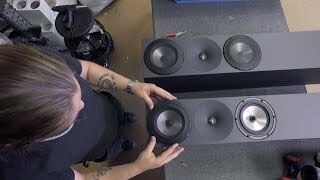 . . few people can afford to spend that much on speakers, and even fewer will be willing to spend it on a relatively small model that can’t forcefully reproduce the bottom octave of the audioband. If you want more down low, Tidal makes five larger models. Lots and lots of money. Enter a new brand of loudspeakers from Jörn Janczak, founder and CEO of Tidal. 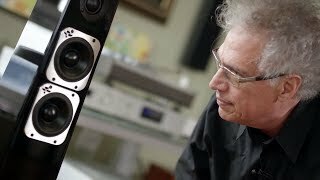 Janczak knows that few can hope to own a pair of Tidals, and with Vimberg, a subsidiary of Tidal Audio, he’s found ways to make his speakers more affordable. Vimberg speakers use off-the-shelf Accuton drivers and other parts that, while of excellent quality, aren’t necessarily the very best available. Mostly, though, Janczak has economized in the finishing work. 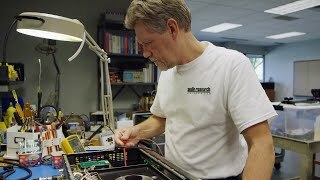 Instead of the high number of person-hours that go into hand-finishing Tidal speakers, Janczak has invested in machines that can do the painting and polishing faster and more efficiently. While the Vimbergs still aren’t what most would consider “affordable,” they cost far less than the Tidal designs -- which I think is a good thing. Based on the fine reputation Tidal has built over the years, I predict that Vimberg will do extremely well, because I think most people will know that the same person is responsible for both brands. Vivid Audio released its first loudspeaker in 2004: the Oval B1. More Ovals followed, as well as the flagship Giya line. Now Vivid is discontinuing the Oval line and replacing it with the Kaya series, which so far comprises three floorstanders -- the Kaya 90 ($26,000/pair), Kaya 45 ($18,000/pair), and Kaya 25 ($9000/pair) -- as well as the Kaya S15 stand-mount and the Kaya C25 center-channel (prices for the last two TBA). It was the Kaya 90 and 45 that caught my eye. Although I have not heard them, I expect that these are the Kayas that will get you closest to the performance of Vivid’s top line, the Giya models, and for much less money. The Kaya 90 and Kaya 45 are both three-way designs, each with opposed woofers mounted low on their side panels. Each has a 1” dome tweeter mounted in a waveguide that’s roughly the same size as the 4” midrange driver just below it. The tweeter and midrange are fitted with Vivid’s trademark tapered tubes on their backsides, which dissipate rear-directed energy from the diaphragm, to keep it from interfering with the forward-directed energy. The woofers have 5” cones -- one per side in the 45, two per side in the 90. (If that spec seems small, it’s because, unlike most speaker makers, Vivid measures woofers by the diameters of their cones, not their frames; Vivid’s 5” woofer is about the same size as a typical 6.5” woofer.) The Kaya 90’s two extra woofers allow it to reach a bit lower in the bass than the 45 (35Hz vs. 37Hz, -6dB), and boost its sensitivity (90dB vs. 87dB, at 1m with a 2.83V input). Though the Oval models’ woofers lacked them, all Kaya models have tapered tubes -- as in the Giya series, the cabinet itself acts as a tube, which explains the Kaya cabinets’ shapes. For Vivid, form has always followed function, but the Kayas mark the first time that Vivid has hired an industrial design team, to help chief designer Laurence Dickie shape speakers a little more elegantly. The Kayas’ looks still might not be everyone’s cup of tea, but Vivid hopes they’ll enjoy wider appeal. For me, the shape isn’t what’s important -- it’s the sound quality. Vivid has produced two of the best-sounding speakers I’ve ever heard in my room: the Oval B1 Decade ($30,000/pair) and the Giya G2 ($50,000). I want to hear for myself whether or not the Kaya 90 and 45 approach or even surpass the sound quality of those remarkable speakers. 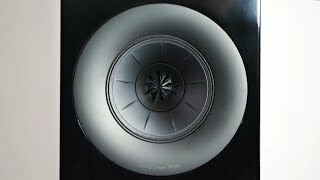 I’m still kicking myself for not having sat down in Dynaudio’s enormous exhibit space to listen to their new Confidence 60 loudspeaker (€40,000/pair) -- it was just too packed. But Jeff Fritz, Al Griffin, and Roger Kanno all braved that crowd, heard the Confidence 60s, and told me that Dynaudio’s was one of the best-sounding rooms at High End 2018, if not the best-sounding. Roger reported that the 60s’ sound was super-smooth, exceedingly neutral, and very clear. What most surprised him was their precise imaging -- even though they were awkwardly positioned in a very large room. The way the Confidence 60s imaged might have had a lot to do with Dynaudio’s efforts to control the horizontal and vertical dispersions of this and the other models in the line, the Confidence 50 (€26,000/pair) and Confidence 30 (€19,000/pair), which are also three-way floorstanders. (There’s also the two-way, stand-mounted Confidence 20, for €12,000/pair.) Dynaudio calls this technology Dynaudio Directivity Control (DDC), and says it was made possible by their new, super-large measurement room, which was still being built when I visited their headquarters in Denmark in August 2016. The floorstanding Confidences have the best-controlled directivity because they include what Dynaudio calls a DDC Lens around the tweeter, to better direct the driver’s soundwaves as they’re launched. Having full control over the speaker’s dispersion minimizes unwanted room reflections to provide the high levels of clarity, neutrality, and imaging that Roger heard. Common to all of the new Confidence models are: Dynaudio’s Esotar3 soft-dome tweeters and proprietary MSP driver-cone material; wooden cabinets with rounded backs and high-gloss finishes; and drivers mounted on sub-baffles made of a material they call Compex, a composite claimed to be far superior to MDF in terms of stiffness (MDF was used for the sub-baffles in the previous Confidence line). I missed the demo in Munich, but would be thrilled to hear the Confidence 60, or even the 50 or 30, in my listening room. Stay tuned . . .
With that roundup of higher-priced products, the “Best of High End 2018” is now complete. 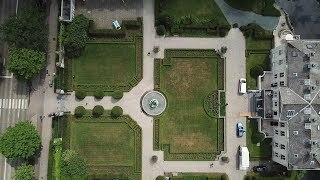 Next month I’ll talk about the European Imaging and Sound Association (EISA) press conference, held May 22-25 in Antwerp, Belgium. It was there that editors and writers from 55 print and online publications from around the world met to watch presentations about new products that have been nominated for EISA’s annual awards. On May 22, SoundStage! 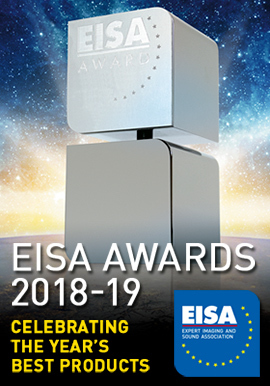 Hi-Fi became an official member of EISA, so from here on we’ll be a part of that awards process. 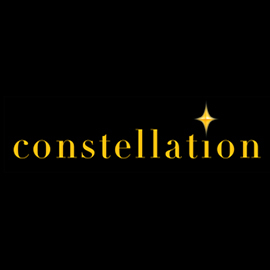 It’s exciting and gratifying to be part of such a large and influential group -- but more about that later . . .